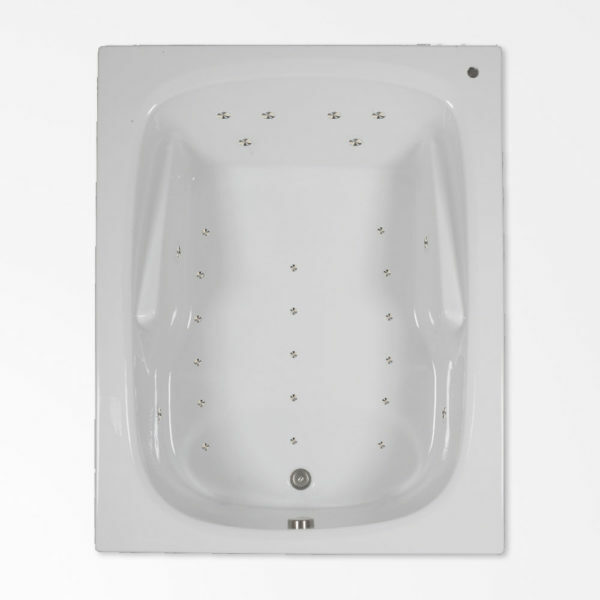 Transform your master bath into a retreat for you and your partner with the 60 x 48 WM air tub. Enjoy the good life as you both are enveloped by the warmth of the water. Indulge yourselves in the restorative benefits of hydrotherapy as targeted bubbles work out the aches and pains in your muscles. Twenty-nine air injectors infuse the water with bubbles that stimulate and invigorate your senses. 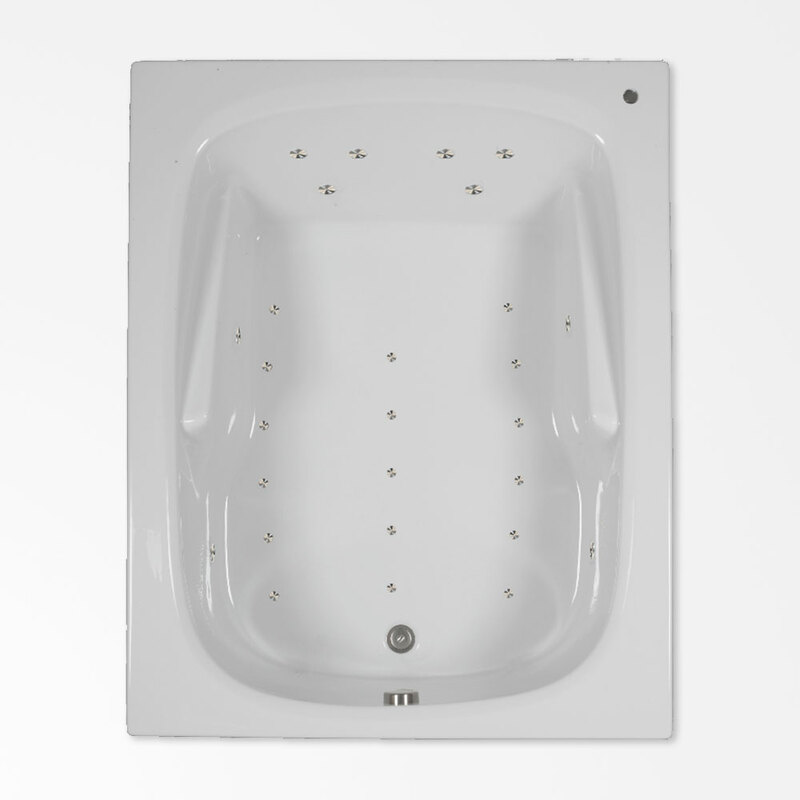 Roomy enough for you and your companion to sit shoulder to shoulder, this tub is still a standard length, so it fits into shower alcoves nicely. Or make it the centerpiece of your bathroom and install it in a stand-alone island. The ample deck leaves plenty of room for any fixtures you may desire. Rounded corners on the tub’s interior balance the tub’s rectangular outer shape. Built-in armrests and a reclined back lend comfort to your bath. With all its features, the 60 x 48 WM air bath is the best combination of quality, value, and luxury.